Peel skin of the mango and slice it. 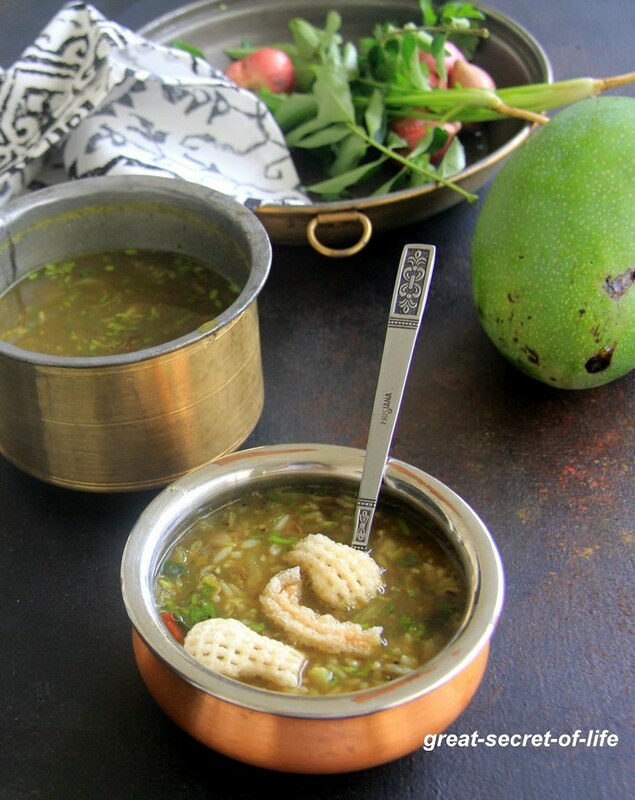 Pressure cook mango with salt till 3 whistle (don't add any water to mango). Heat a pain with 1/2 reaspoon of ghee. Add 1 teaspoon Cumin seeds, pepper and 2 green chillies. Fry till it cracks. Let it cool down. Grind to fine powder. Heat pan with 1/2 teaspoon of ghee.. Add Mustard seeds, cumin seeds. Let it crackle. Red chillies, Hing and curry leaves. Fry for 10 sec. Add sliced onion Fry for a min. Add required salt, grinded powder. Let it boil. Add Chopped coriander leaves. 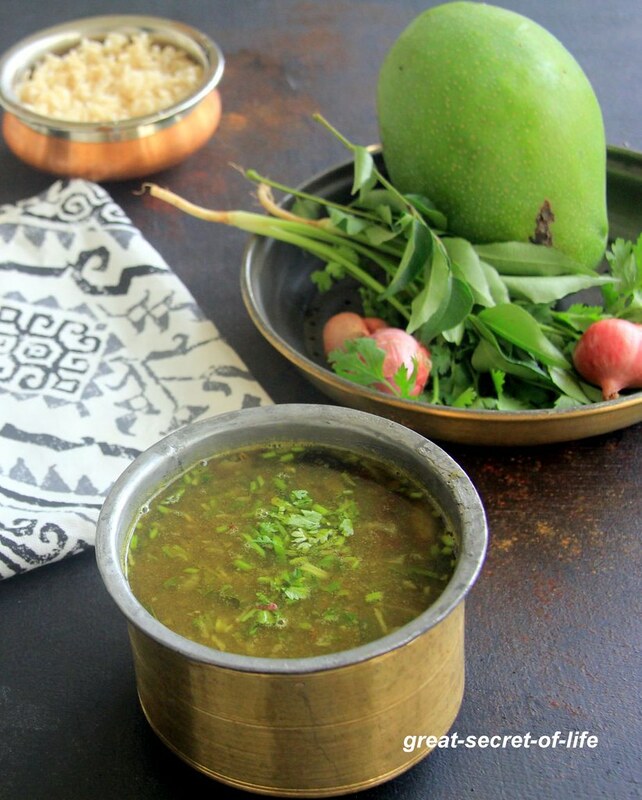 I love rasam varieties. This mango season I also wanted to make this but somehow missed it. Now the mango season is almost over. 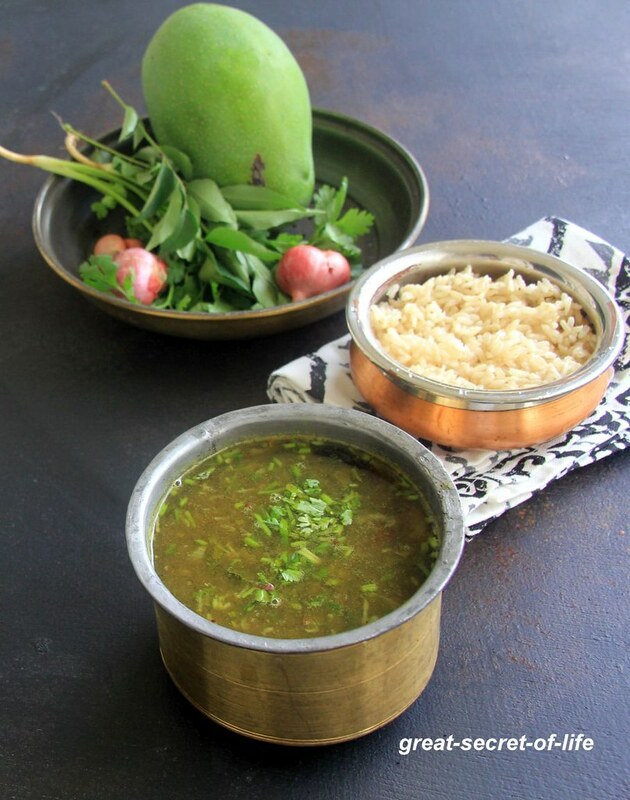 Raw mango rasam is new to me looks delicious great with bowl of rice.